Check our Minutes and Agendas page for the agenda for our March meeting. Our minutes from our February meeting will be posted shortly. We will have a presentation from COPS Southeast to let us know how we can become more involved in community policing efforts on the South Hill. We will also be discussing the 2019 Traffic Calming Application process, so bring your traffic calming ideas to start the discussion. We’ll see you on March 6th at 7pm at ESD 101! Check our Minutes and Agendas page for the agenda for our February meeting. Our January meeting was cancelled, so there are no minutes from that, but the December meeting minutes are posted for review as well. We will be introducing the 2019 Traffic Calming Application process, so bring your traffic calming ideas to start the discussion. We will also have an update on the Hearing Examiner decision for the Garden District (Sonneland) PUD in Lincoln Heights. We’ll see you on February 6th at 7pm at ESD 101! Happy New Year! We decided at our December meeting to cancel our January 2019 meeting. So we will not be meeting this week, our next meeting will be on Wednesday, February 6th. Check our Minutes and Agendas page for the minutes from our December meeting to see some information the Garden District PUD including the City Staff Report and Addendum as well as comments submitted by SNC to the Hearing Examiner for the December 12th hearing. The City’s Staff Report for the Garden District came out last Monday. In summary, the City concludes that this PUD design does not meet the City connectivity standards and should have a connection between Crestline and Southeast Blvd: “Staff is concerned that the site plan is inconsistent with several of the policies…and does not achieve the connectivity envisioned by the Comprehensive Plan and the City’s Arterial Street Plan. In order to satisfy this approval criteria, Staff believes street connections for vehicles must be provided by “Crestline Street” from the intersection of Crestline St and 34th Ave to the intersection of Southeast Blvd and 31st Ave intersection per the Comprehensive Plan Map TR 12.” (Staff Report, Page 6) So in essence the report agrees with SNC’s position that City code and Comp Plan policy say a connection is required. The Hearing Examiner hearing on the Garden District PUD will be this Wednesday, December 12th at 1:30pm in the Commissioner Assembly Room, Lower Level of the Spokane County Public Works Buildings at 1026 W. Broadway. The County Hearing Examiner will be taking public testimony on this matter and then render a decision to approve or deny the proposed PUD plan. The original Garden District site plan showing the required connection between Crestline and Southeast Blvd. The current, revised Garden District site plan that does not meet City connectivity standards. SNC submitted comments during the SEPA Public Comment Period and they are part of the record and establish our standing to appeal if desired. You should still provide comments in person as well to give a physical voice to the idea (per our comments) that there should be a connection between Crestline and Southeast Blvd. Now SNC’s position differs a bit from the City’s conclusions in a couple areas. Starting on page 11, the Staff Report the City begins listing their recommendations and conditions including reiterating the need for the Crestline connection. That is a good conclusion and consistent with SNC’s comments. However, it says in point 2a that, “The vehicular connection shall be built to City of Spokane Street Standards.” Starting with the City standards is good, but the current arterial standards may well create an auto-oriented road through the PUD. While SNC supports creating a connection that accommodates all modes of transportation, including autos, an auto-oriented connection is not what anyone desires. A possible solution: the road could be built to a residential street standard even if it is officially an “arterial”. The precedent for this is 44th Avenue between Freya and Regal in Southgate. This street is designated the same level of arterial as Crestline is currently (a Minor Collector), however the road design is a traffic-calmed one with enhanced pedestrian facilities and a 25mph speed limit. What is more important than the road’s designation is its design. Accordingly, the connection through the Garden District should be auto-accommodating per the code and Comp Plan, but the design should prioritize pedestrian and non-motorized user comfort given the road’s designation as a Bikeway in the Spokane Bike Master Plan and the CC1 zoning within the PUD. With or without the connection, there will be an increase of traffic along Crestline south of the development and area residents deserve to have a safe route between their home and Hamblen Park and Hamblen Elementary. 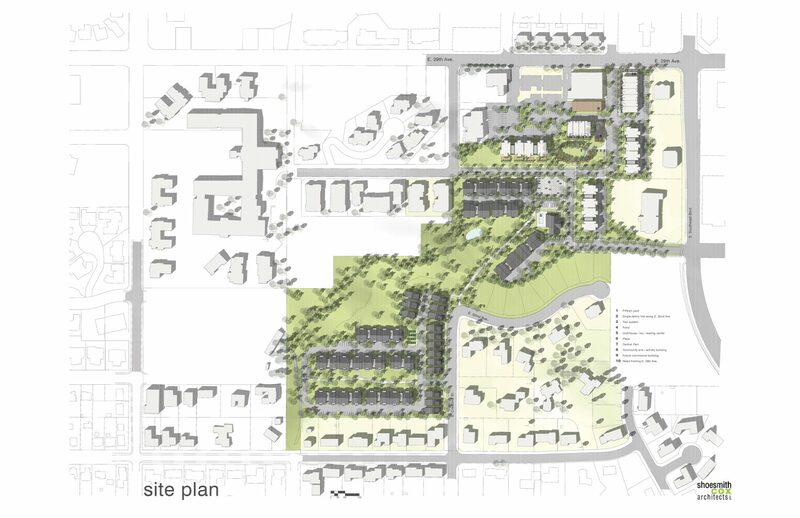 Toward that end, the developer must be required to develop complete street features and traffic calming measures along Crestline Avenue from the south end of his development to Thurston Avenue as part of the mitigation for this development. Right now there are no pedestrian facilities on Crestline from 32nd to 37th and just sidewalks on one side between 37th and Thurston. These complete street features and traffic calming will also compliment the proposed traffic calming and street design that should be built within the proposed PUD along Crestline. 1) The Staff Report reflects the same conclusion that the Southgate Neighborhood Council had come to: that City code, Comp Plan policy, and adopted neighborhood plans all require or support the connection of Crestline to Southeast Blvd. It is good urban design and will not perpetuate the development of disconnected PUDs and subdivisions so common on the South Hill. 2) SNC believes the design of the connection should use traffic calming features and residential road design standards to create an auto-accommodating, pedestrian-emphasized streetscape and that this concept is supported by the connection’s designation as a Bikeway in the Spokane Bike Master Plan and the PUD’s CC1 zoning. This includes pursuing deviations from road width, speeds, and corner radii as well as other traffic calming features (such as on-street parking, curb bulb-outs, roundabouts, speed tables, bike lanes, etc.). 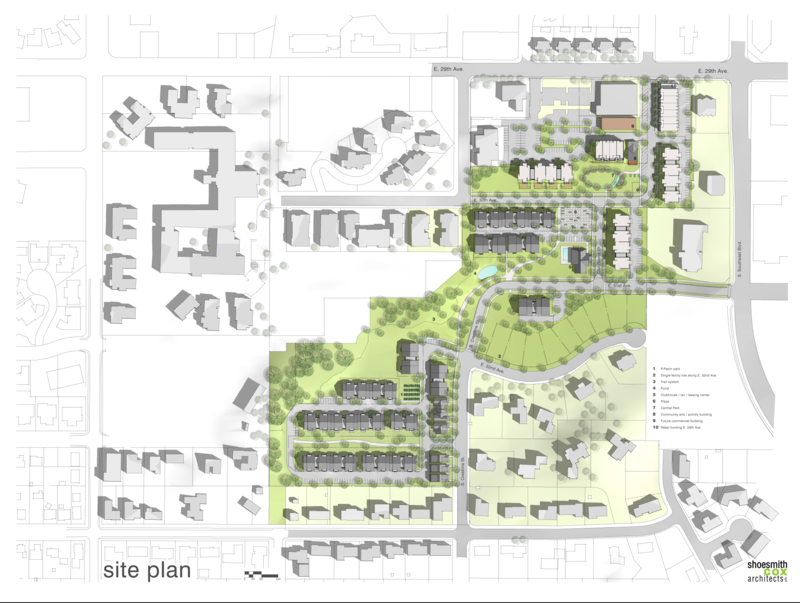 3) Regardless of whether or not a connection is ultimately required, SNC suggests the developer must install complete street features (pedestrian and bike facilities) and traffic calming measures (see above) between the southern border of the development and Thurston Street. This will mitigate the impact of increased traffic along Crestline and provide a safe street environment for area residents. Depending on how the Hearing Examiner rules, there may be appeals to the decision. In order to have standing to appeal, you need to have submitted comments during the SEPA Public Comment Period or given testimony at the upcoming hearing. If there is an appeal, the issue will go to the Spokane City Council for a final ruling on the matter. So whatever your feelings, I encourage you to go to the hearing and provide testimony. Check our Minutes and Agendas page for the agenda for our November meeting and the minutes from our October meeting. This month we will be conducting nominations for Neighborhood Council officers for 2019! We will also have an update on the new comment period for the Garden District (Sonneland) PUD in Lincoln Heights. We’ll see you on November 7th at 7pm at ESD 101!